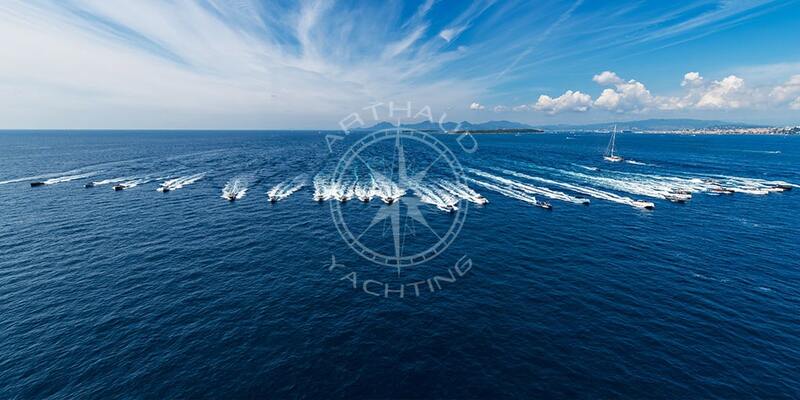 As a trusted partner, Arthaud Yachting is the pioneering agency for nautical team building activities in Cannes. 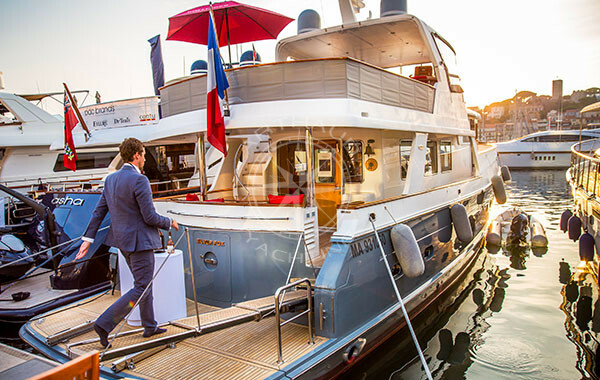 Facing the Suquet, our nautical event agency is located in the heart of Cannes, at a walking distance from the Old Port, the Palais des Festivals, the beaches of the Croisette and Port Canto. 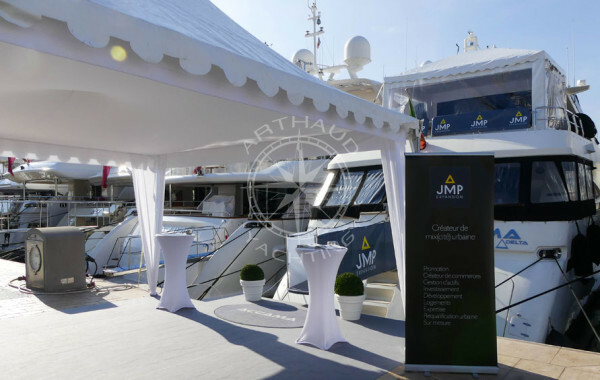 Specialized in the nautical industry for over 10 years, Arthaud Yachting organizes incentive cruises, team-building regattas, quayside events, product launches, conferences and corporate seminars along the French Riviera. 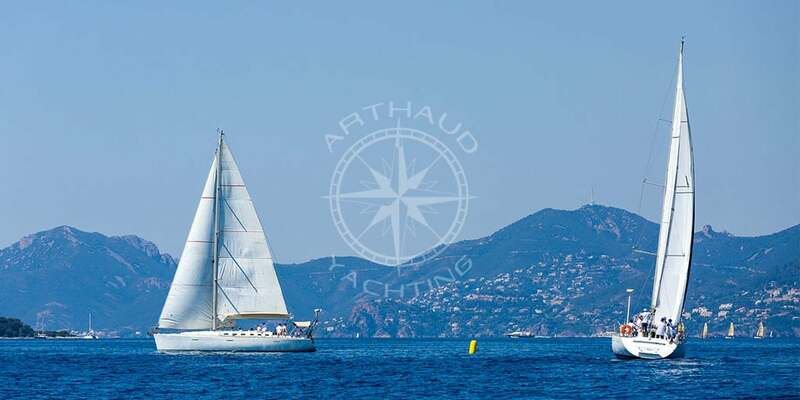 As a trusted partner, Arthaud Yachting are the pioneers of team building activities in Cannes. Regattas, treasure hunts, nautical rallies, the choice is vast ! Revive the team spirit and increase the performances of your collaborators by improving their cohesion and team work in an original setting. 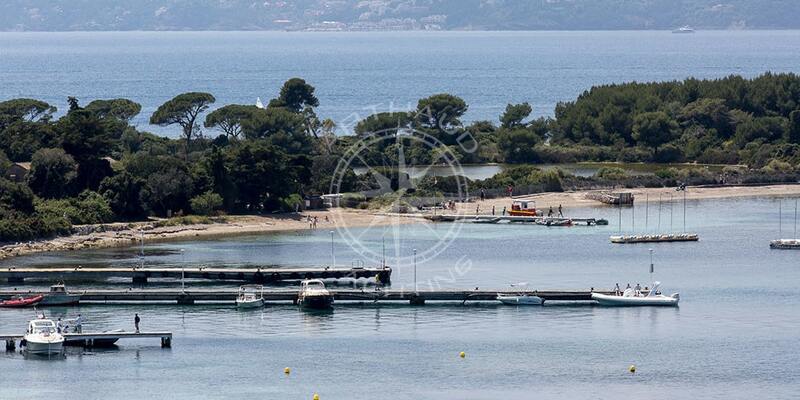 Challenge yourself around the Sainte Marguerite and Saint Honorat Islands situated just in front of Cannes, ally your efforts, skills and knowledge to establish a strategy and take on this challenge which will guarantee both an exotic and amusing experience. Whether you are a local or multinational company, our teams will organize a team building challenge in Cannes in a safe environment. A customized team building activity, planned from A to Z at the image of your company and which can gather up 300 people. 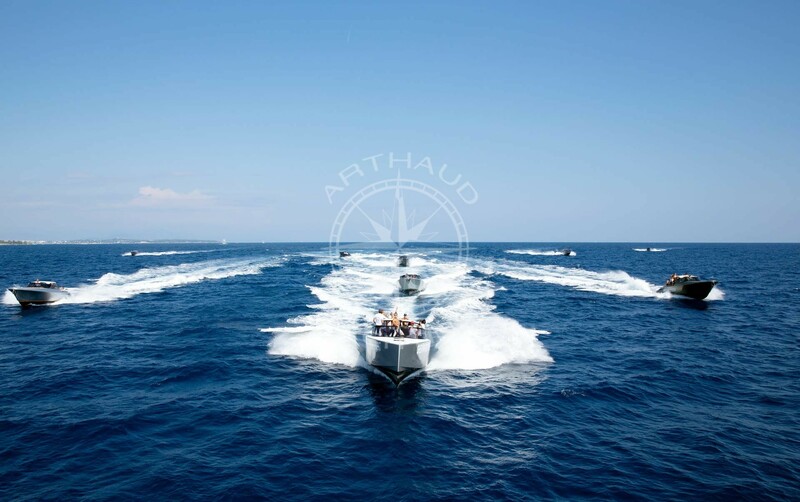 Our clients entrust us and are more than happy to recommend us; read our guestbook, visit our latest news, Arthaud Yachting is at your disposal for your next corporate seminar and team-building activity on the French Riviera. 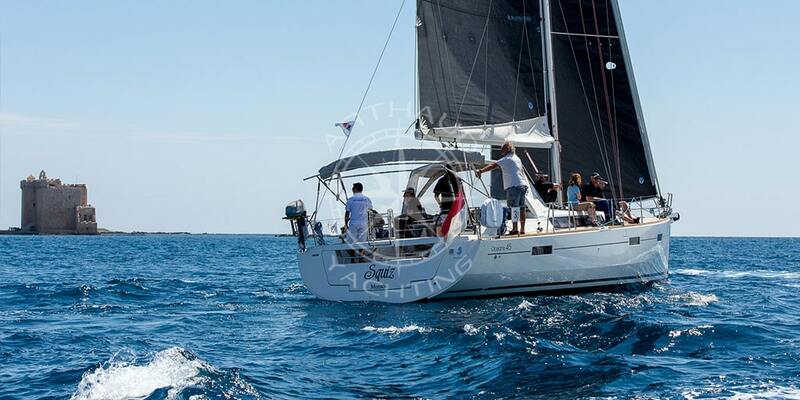 Qualified crew at your service on our yachts during your team building in Cannes. High quality rental service with many services during your team building. Cannes is a city firmly focused on business tourism and its infrastructures are ideal to make the trips of companies effortless. Just a few kilometers away from both the Nice International Airport and the private airport of Cannes-Mandelieu, reachable via train, the A8 highway, express bus lines, a heliport and two harbors, the city of Cannes is easily accessible. A large choice of restaurants, accommodation options, tourist and team-building activities are proposed to you during your stay in Cannes. Cannes, well known for its red carpet on the Palais des Festivals steps, an annual film festival and its worldwide movie stars, is also known in the world of sailing thanks to its two magnificent bays and Lerins Islands which offer the most unique playground in the world within a protected navigation zone adapted no matter what the weather conditions are like. Organize an out of the ordinary team-building event in Cannes and take advantage of this opportunity to discover the country of Lerins while at sea. Only accessible by boat, the islands of Sainte Marguerite and Saint Honorat are treasures of our heritage, a historical nature reserve unique in the world which attracts several hundred thousand visitors each year. After the effort of the challenge, leave place to a moment of relaxation, together we can organize your next team building in Cannes stopover and your lunch break. First come, first served! 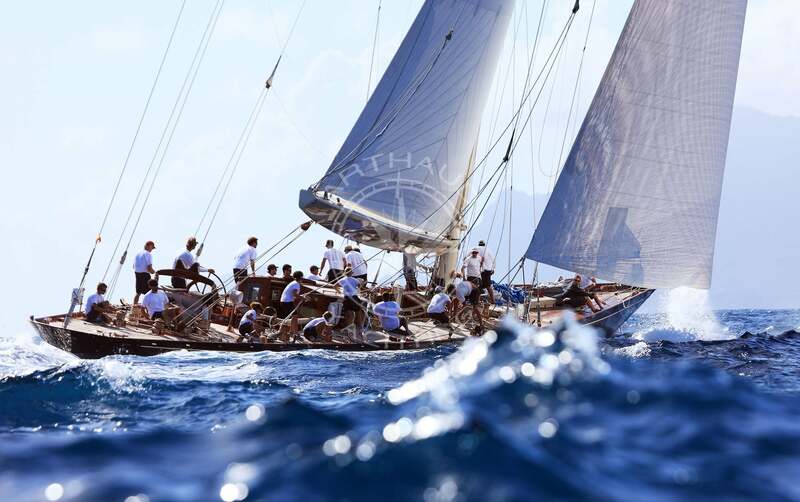 Official backdrop of the legendary Régates Royales of Cannes, this protected natural area sees the most beautiful yachts of tradition compete each year in hopes of being rewarded the very sought-after trophy of the circuit of the Italian watchmaker Officine Panerai. 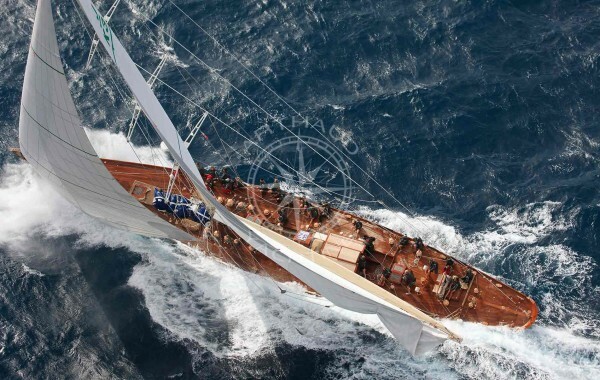 A challenge which allies varnished woods, ancient sails, polished shiny chrome, a magical show for all. You want to try this experience? 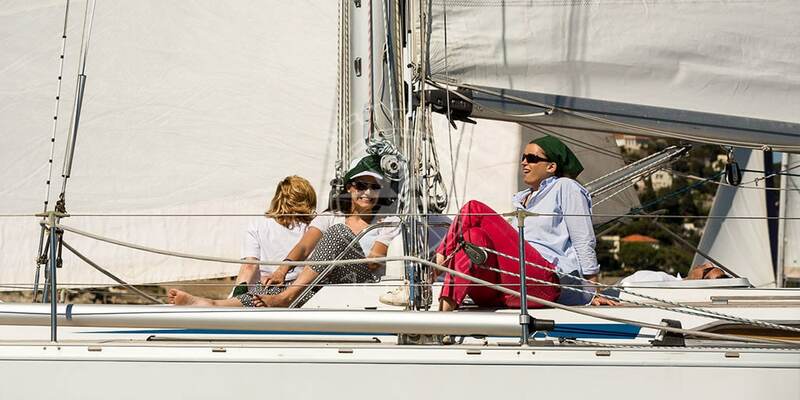 Invite your clients or embark your collaborators aboard to participate in an official regatta, whether team building or incentive (incentive sailing or incentive on a yacht) your day will be both exceptional and unforgettable! 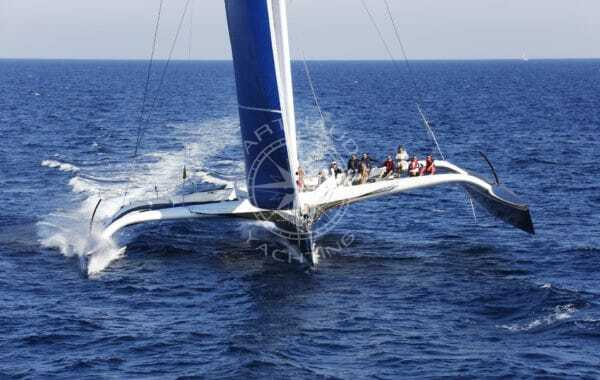 Performance sailing boats for your Cannes team building. Popular as ever, sailing is a sport everyone wants to try. As a renown outdoor activity which portrays health, and noble values such as courage, the surpassing of oneself, respect for the environment and technological research, a team building regatta as a group allies the individual skills and knowledge of all for an overall collective performance. In a regatta, it isn’t just a matter of going fast, the most important matter is leaving on time and knowing the direction in which to sail. 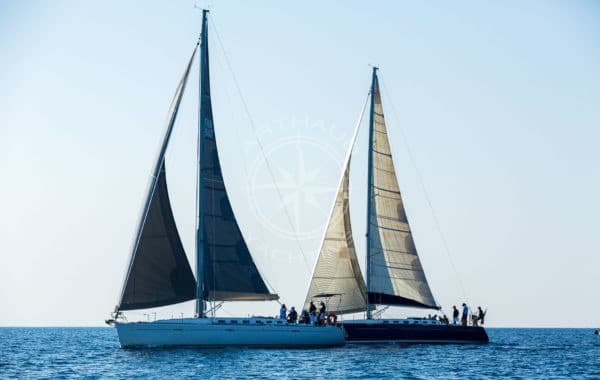 Our team building sailing boats in Cannes are carefully selected by our team within our large panel of recent vessels all perfectly maintained. 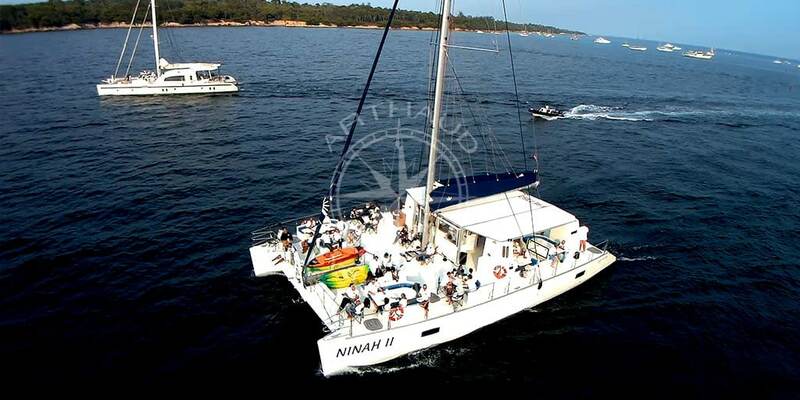 Over the years, our professional skippers and captains have traveled many nautical miles with Arthaud Yachting and will be sure to provide good advice and a warm welcome to guarantee the success of your team-building day. 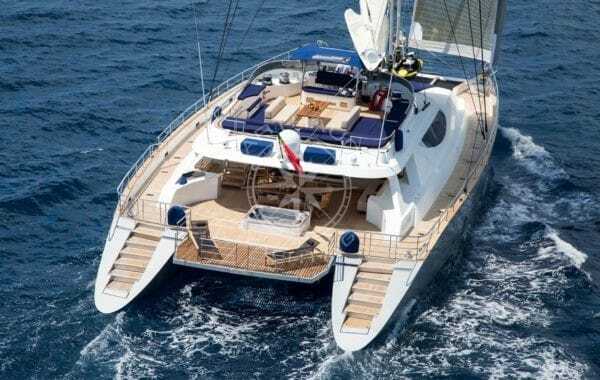 Beneteau, Sun Odyssey, X yachts, Hanse, Grand Soleil, Delher, we propose the latest models of the largest manufacturers for a comfortable and pleasurable navigation guaranteed. Aboard our 15-meter sailboats, the team members of the day will find the necessary facilities on-board to ensure a pleasant and high quality experience in order for everyone to feel at ease: bathroom, cabins to change, fridge, sound system, etc… Opt for tranquility and embark with only your beach ware, we will take care of the rest with a wide range of options: victualling, on-board catering, nautical activities (Kayak, Stand up Paddle, Snorkeling, towable buoys, water skis, Jet Ski, parasailing, etc…). Make your teams, we compose ours: skippers, qualified captains, experienced sailors, the latest sail boats, powerful and safe security boats. 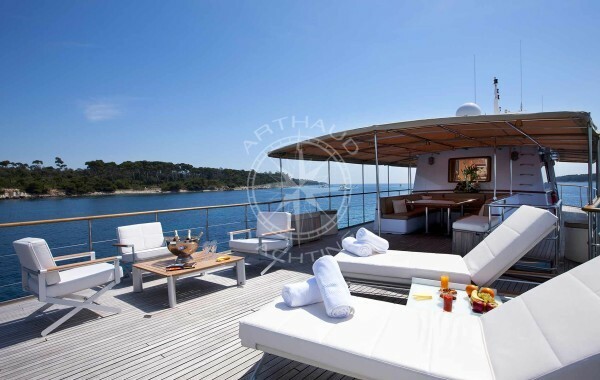 Arthaud Yachting has both the human and material resources to ensure the success of your team-building day in Cannes, as well as on the rest of the French Riviera, all year long. Team building: an up to date communication! Hoist your colors and sail in the bay of Cannes, the big audience always present will notice your presence. 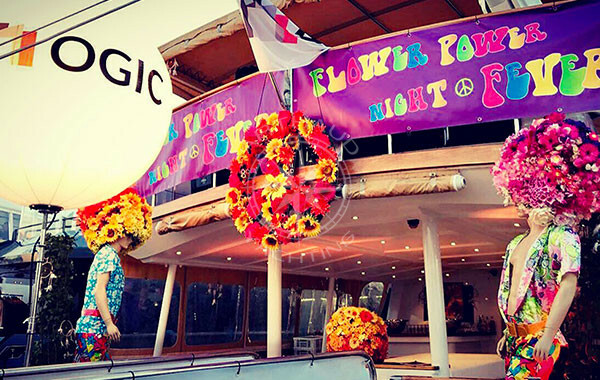 Each boat allows you to deploy a multitude of visual supports guaranteeing you high visibility during your team-building day in Cannes. 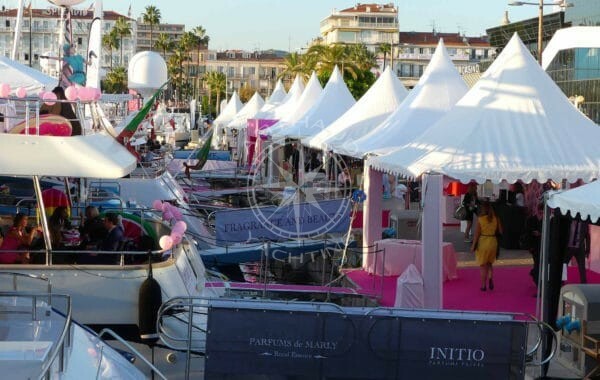 From personalized individual clothing, installation of stickers on the sails or flags and banners, to the customization of buoys, our team will advise you on the best solutions for a personalized welcome straight upon your arrival at the port of Cannes. A team building that makes an impact is optimized by visual feedback triggering exchanges and moments of sharing sought out by decision makers of corporate events. 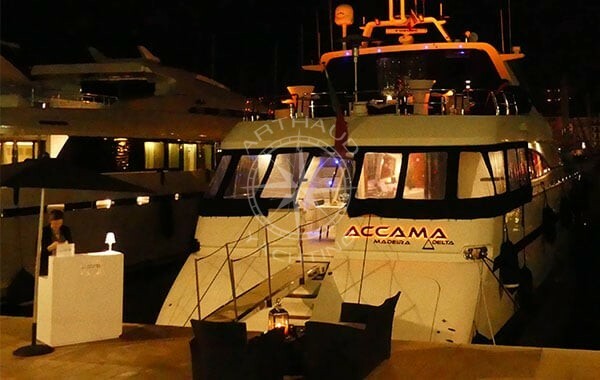 Our team of professional photographers and video makers specialized in nautical events will put its expertise and services at your disposal: whether you want them at sea or in the air, they will capture every moment of your unforgettable day. The stars of the day will be flown over by a helicopter, a drone or followed by motor boats, you will not miss you a second of their performance! Thanks to the eye of a specialist and quality work, your photos and videos will proudly highlight the colors of your company and the cohesion of your employees in all your marketing. So say it too, Yes I Cannes!